SALT LAKE CITY, Nov. 16, 2011 -- Northrop Grumman Corporation's (NYSE:NOC) Salt Lake City facility recently donated more than 100 printers and copy machines to the Utah State Office of Education for distribution to schools throughout the state. Schools will receive the printers from the Utah State Office of Education based on demand and need. The printers will supplement existing machines or fill a void in school offices and classrooms that currently do not have printers. "We are pleased that our donation will aid students and teachers, particularly as school budgets are shrinking," said Liz Iversen, sector vice president and general manager of Northrop Grumman's Navigation Systems Division. "Northrop Grumman is dedicated to helping local schools and students in our community, whether it involves physical materials such as printers, monetary grants for science and math education, or human capital through mentoring and scholarship programs." "Utah's public schools are grateful for the generosity of Northrop Grumman," said State Superintendent of Public Instruction Larry K. Shumway. 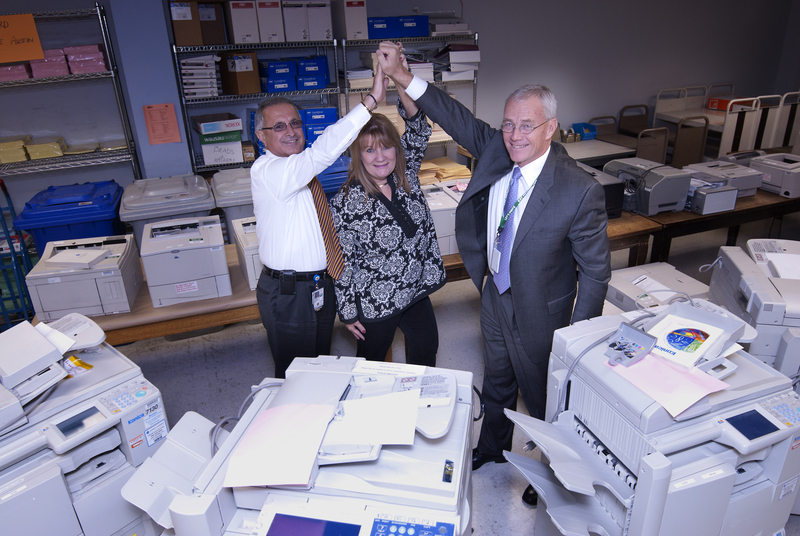 "We will certainly put these printers to good use in our schools, meeting the needs of our students and teachers. It is gratifying to see private industry step up to help us meet the challenge of educating the next generation."